That’s my panel assignment for Sunday at Malice Domestic. Tales with Tails: Roles Animals Play in Mysteries. Sandra Parshall is moderating for Rebecca Hale (cats), Linda O. Johnston (dogs), Linda Lombardi (sloth at a zoo), and moi (?). At first I thought I’d been selected for this panel based on the cover of Mind Your Own Beeswax (which btw should be available for purchase even though its official pub date is May 3rd). That’s Ben, a tough K-9 defender, and Dinky, a scruffy little mutt. They are part of the ‘story’ but not in a really big way. They aren’t the focus. So that’s what I’m going to do. I think. Even though they don’t really have tails. What do you think? Ben & Dinky or honeybees? I know this doesn't help, but I thought it would amuse you. My dog, Conan, loves bees. LOVES them. (Bumblebees, thank goodness, not honeybees which might sting him.) He thinks they're his friends, and he chases them around and dances trying to reach them. When he can reach them, he very carefully catches them in his front teeth and brings them in the house to play with him. Then he lays them down on the floor and gets HORRIBLY upset because they don't get back up and fly around to play with him anymore. So I think you should talk about bees (because, after all, that's what Story and the stories are about), but perhaps you ought to give the dogs at least a passing mention in honor of the friendship between animals! I have it on good authority that you were put on this panel because of the bees. (They are animals, after all.) See you Friday!!! Bees! 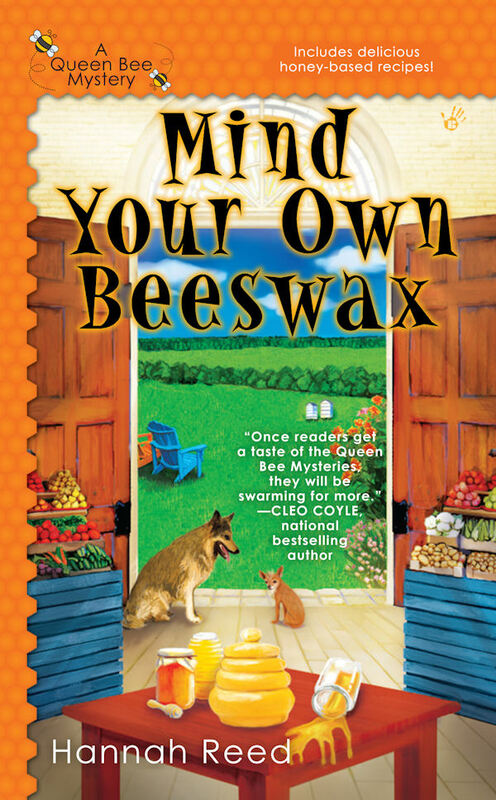 (I've pre-ordered Mind Your Own Beeswax. Fortunately, school is out in just a few weeks and I can read till my eyes pop. Laura, great story! And Barb, thanks for chiming in. Bees it tis! Gosh, why do I have to be the odd woman out? I disagree. Bees don't have tails, they have stingers. Maybe since Ben and Dinky don't have major roles in your books it is time they got a little more attention. Plus, I think more people feel closer to dogs and cats than they do to bees, even though bees are very important to us. I vote for dogs! As there is already another author who writes about dogs, I guess you are the bee-specialist! Man, I sure want to win the lottery so I can go to America and Malice event! I wish you all lots of fun! I cast my vote for the bees! I was surprised how very much I learned about bees and beekeeping while reading your book :-) Now I'm off to get it loaded up on my Kindle! Have a wonderful time at Malice...I would love to go some day. Bees, but I loved Dinky!! I do hope you will talk about honeybees! I took my first beekeeping class last spring (hope to have hives in the backyard) and am so excited to see a cozy with them as part and parcel.